A security camera system for courthouse use can augment other security systems such as metal detectors, guards, and bailiffs. While we tend to think of courthouses as extremely safe and secure facilities, they do have the potential for violent outbreaks. Further, if such a situation should occur, nothing can provide better documentation of the event than a digital video security camera system. Is it really necessary to have a security camera system for a courthouse? Absolutely; while most courthouses have armed guards and metal detectors for protection, a digital video security camera system can also help deter violence, document criminal events, and protect courthouse employees. In addition, most courthouse security measures focus on the interior of the courthouse. A digital video security camera system for courthouse use can provide not only interior coverage but just as important, exterior coverage where undesirable events may first begin. Another advantage of a security camera system for courthouse use is the deterrence of violence and vandalism. It’s a proven fact that digital video security cameras do deter criminal activity. The statistics to support this fact have been shown in both New York City and London, England where police agencies use video security surveillance to monitor day to day street activities. Potential vandals or other criminal perpetrators are less likely to follow through on illegal acts if the know they are being watched and recorded by video cameras. The occurrence of an unlawful act even in a courthouse requires proper evidence. 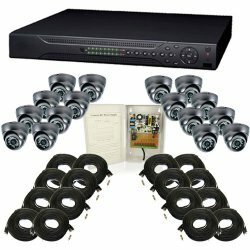 Nothing can provide documentation for proof and evidence better than a digital video security camera system. A security camera system for courthouse use includes a Digital Video Recorder or DVR. Video images are converted into digital video files and saved on the DVR for later use if necessary. DVRs with CD/DVD writers or thumb drive writers can even provide multiple copies of video footage for distribution to law enforcement agencies, prosecuting attorneys, and other courthouse personnel. Needless to say, working in a courthouse can be extremely stressful. Since there are always two opposing sides to every issue, there’s bound to be unhappy, tense, and impatient people that must interact with other courthouse employees. Unfortunately, there are isolated incidences where these emotions run rampant resulting in outbursts against courthouse employees. A security camera system for courthouse use can not only spot incidents when they begin and document them as they occur, but help deter them from occurring in the onset. Another benefit of digital video security camera systems is remote control and monitoring of the system. Thanks to advancements in computer and electronic technology, a security camera system for courthouse use can be remote controlled from just about any other off-site location that has a broadband Internet connection. Authorized users can monitor and record Internet Protocol (IP) ready cameras in a totally different physical location than the system. This feature can be particularly beneficial in the unfortunate event of bomb threats, taking of hostages, and other acts. The use of Pan-Tilt-Zoom (PTZ) cameras, especially in courthouse parking lots, can provide an early warning of an event before it reaches the inside of the building. Furthermore, DVRs with object tracking can detect motion and automatically pan, tilt, or zoom the camera to track or follow a vehicle or individual. Maintaining the ultimate security of a courthouse is tantamount to maintaining justice. The very nature of the events that occur within a courthouse and the fact that individuals suspected of murder, manslaughter, and other violent crimes are brought to a courthouse for trial indicates the necessity for proven security measures. A properly designed and installed security camera system for courthouse use will provide images of all individuals that enter and exit the building. Public areas within the courthouse can be monitored by video security cameras, freeing courthouse guards to provide their services where they are needed the most. 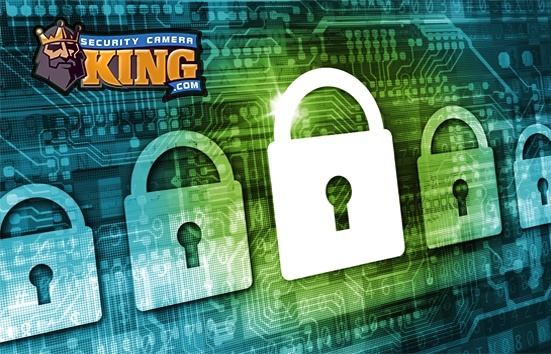 Security Camera King has some of the most sophisticated electronic digital video security camera systems available. If you are the responsible party for procuring a security camera system for courthouse use, contact one of our security experts today. Our trained security experts can help you with a needs assessment to determine the equipment needed to get the job done right. Contact us by clicking on the “Live Chat” button at the top of the pare or by telephone at 866-573-8878 Monday through Friday from 9AM to 6 PM EST.